Kids' Station Children's Museum: Tomorrow is Science Tuesday. Stop in and learn about invisible ink. Tomorrow is Science Tuesday. 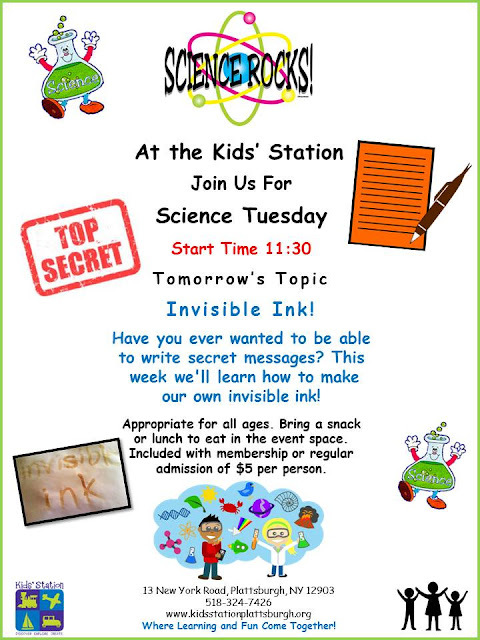 Stop in and learn about invisible ink.